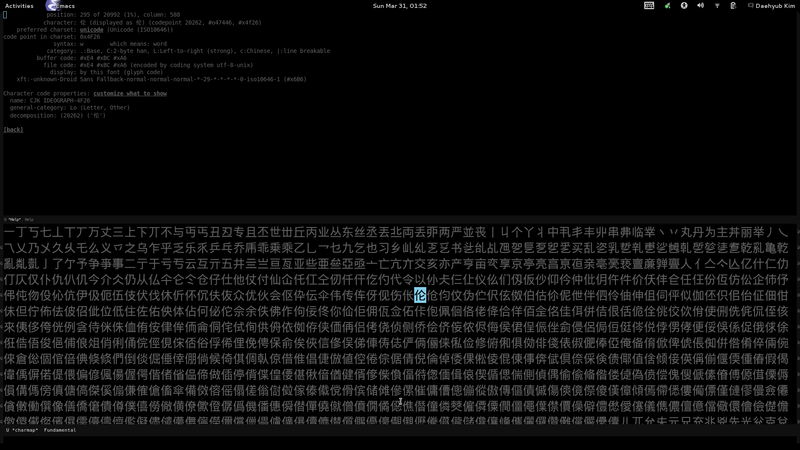 CharMap is unicode table viewer for Emacs. With CharMap you can see the unicode table based on The Unicode Standard 6.2. CharMap is really simple to use. Just execute a command ‘M-x charmap’ to display a unicode block that you want to see. To see all unicode blocks, try to M-x charmap-all but the entire blocks are so huge to display and it takes a little time. "Font lock face used to *charmap* buffer."